We provide high quality installations and service of all types of Cameras and Cabling including Analog Cameras and IP Cameras. 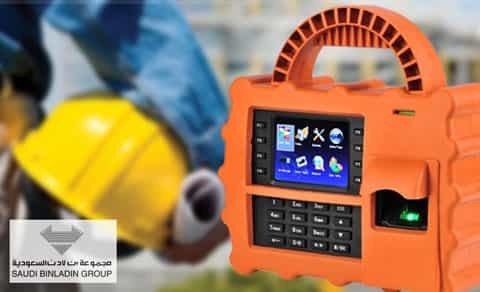 From the smallest installations to the largest, most complex integrations, you can be sure that you will receive the best equipment and the personal attention you deserve. We believe that the customer comes first, and in the current economic climate that means that you should be able to feel secure without going broke. 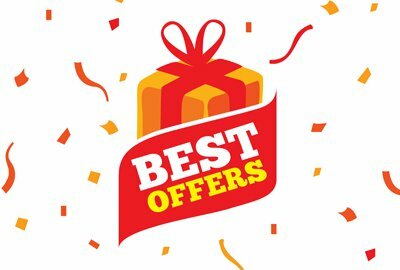 So, call us today at 0484 2 555034 and let us show you how surprisingly affordable it can be to get the peace of mind you deserve. Have the peace of mind knowing that you are dealing with an experienced Camera installation company. Our technicians pride themselves in the satisfaction of our customers. Our customers range from residential security camera installations, business CCTV systems and large federal installations. throughout India and Middle East. Installation of your surveillance system will be at additional cost. Due to the variables of the security camera installation the labour price will be determined during the activation process. Additional parts may be required to complete the installation as specified. 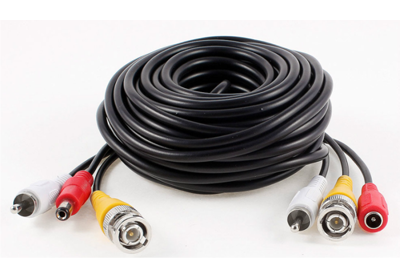 Necessary accessories and extension cables can be purchased in our store. There are certain installation conditions and circumstances that will require an on-site quote from the installer. Analog Camera In the traditional analog CCTV application, security cameras capture an analog video signal and transfer that signal over coax cable to the Digital Video Recorder (DVR). 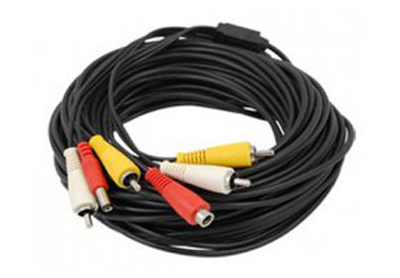 Each camera may be powered by plugging in the power supply right at the camera or by using RG59 Siamese cable which bundles the video and the power cables. The DVR converts the analog signal to digital, compresses it, and then stores it on a hard drive for later retrieval. Intelligence is built into the DVR to handle such things as scheduling, motion detection, and digital zoom. Monitors for viewing the video are connected to the DVR, or it can be set up to publish over an internal network for viewing on PCs. The DVR can also be set up to broadcast over the Internet and can add password protection and other features. When broadcasting over the Internet, the video for all of the cameras is transmitted as one stream (one IP address). Therefore, it is very efficient. In the IP world, each network camera captures an analog image but immediately converts it to digital inside the camera. Some digital processing can happen right at the camera, such as compression and motion detection. 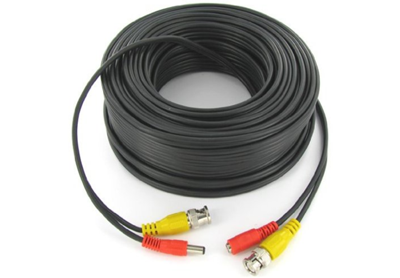 The digital video stream is then broadcast over the local area network (LAN) using Ethernet (CAT5 or CAT6) cable. Power is supplied to the cameras through the ethernet cable via Power-Over-Ethernet (POE) adapters built into the cameras and at the (POE enabled) switch. 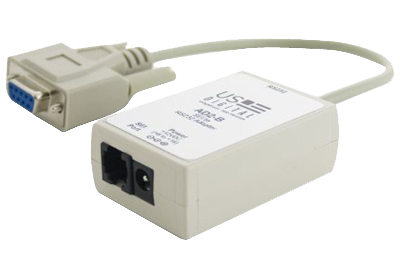 (FYI - Older style IP cameras do not have POE built in so POE adapters had be added to the system like this.) The ethernet cable for each camera is plugged into the switch which feeds into the network hub. As with all network devices, some set-up needs to be done for each network camera to set up its IP address and other identifying attributes. A Network Video Recorder (NVR) performs the same function as its DVR cousin in the analog world. It captures each camera's signal, compresses, and records it. The main difference is that the video feeds are digital (and much higher resolution) and not analog. Software built into the NVR provides features such as intelligent search and zoom, etc. IP Wireless security camera system design is very similar to standard IP camera system design except for the addition of wireless access points inserted between the home network switch and the cameras. This allows you to place cameras up to 1.5 miles (plus up to 328 feet of Ethernet cable) away from your local area network (LAN). Lana's installation partners offer easy installation and system set up to end users. With this Installation Service a professional technician will install your video surveillance system. The Installation Service will cover the labor to mount the camera's, run all cables from the cameras to the DVR or NVR, make all low voltage electrical and video connections and make sure that the cameras are aimed, focused and adjusted properly. 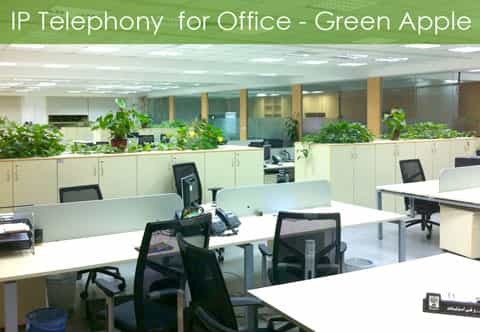 Due to the variables of this type of install, the installation labor price will be estimated at the point of booking through an easy to understand question and answer process. We are specialists in Biometric Access Control Systems, Finger print Time Attendance, Face recognition Systems, Finger Print Door Access and suppliers of Complete Biometric Solutions. 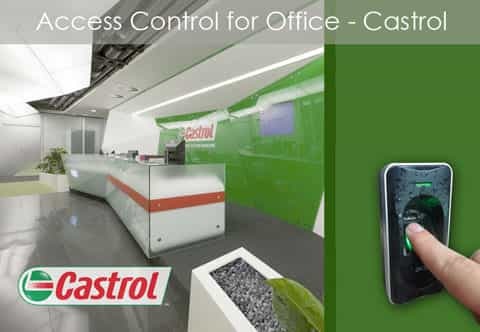 We provide tailored access control solutions to suit your individual business needs. Our project team are focused on providing systems that will ensure site security whilst providing optimum flexibility in system design and maximum flexibility in integrated system capability. Tripod turnstiles are compact and cost-effective entrance solutions. Designed for smooth and silent operation, reducing power consumption, wear and tear. It is suitable for areas with a high traffic. The turnstile, offer high operating reliability in a small casework which are ideal for sites where space is an issue. 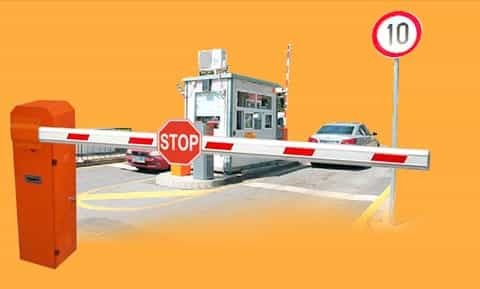 By receiving a signal from the access control system, or pushing button, it allows the entry of one person in a time. Entering into different directions are electronically controlled. Default mode is to lock the mechanism until a valid authorization signal is received. If you want to set one side free, you can adjust the mechanism. In case of emergency, the horizontal arm will drop to allow free passage.